AllThingsDigitalMarketing Blog: Happy 100th B-Day Mary Blair! Happy 100th B-Day Mary Blair! Happy 100th B-Day to Mary Blair, American artist known for producing art and animation for The Walt Disney Company, and drawing concept art for such films as Alice in Wonderland, Peter Pan, Song of the South and Cinderella. After the completion of Peter Pan, Mary resigned from Disney and worked as a freelance graphic designer and illustrator, creating advertising campaigns for companies such as Nabisco, Pepsodent, Maxwell House, Beatrice Foods and others. She also illustrated several Golden Books for publisher Simon & Schuster, some of which remain in print today, and designed Christmas and Easter sets for Radio City Music Hall. Several of her illustrated children's books from the 1950s remain in print, such as “I Can Fly” by Ruth Krauss. Blair was honored as a Disney Legend in 1991. Born Mary Browne Robinson on October 21, 1911, in McAlester, Oklahoma, her family moved to Texas while she was a small child, and later to California. In 1934, she married another artist, Lee Everett Blair (October 1, 1911 – April 19, 1993). 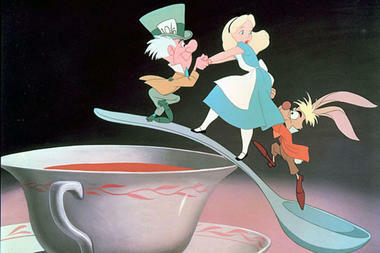 She was the sister-in-law of animator Preston Blair (1908–1994). Mary Blair died of a cerebral hemorrhage on July 26, 1978 at the age of 67. Today, October 21, 2011 would have been Blair’s 100th birthday, Google paid homage to Blair's life and works with a doodle themed with colorful patterns. 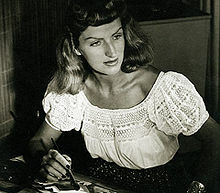 Click here for more information about Mary Blair. Like I said before! I love saying Happy Birthday! So here it is! "Happy 100th B-Day my friend! Mary Blair!" I actually use to follow Mary Blair when my parents told me about her. That was because over my child hood years I loved peter pan. I use to watch it over and over again! than when I got older my parents told me about Mary! How nice to leave a visual legacy like that. First star to the left, and straight on till morning!